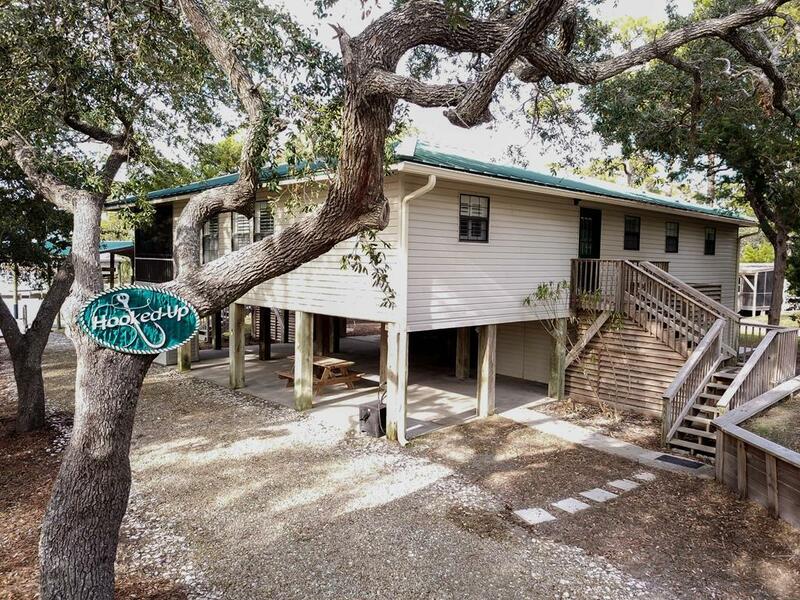 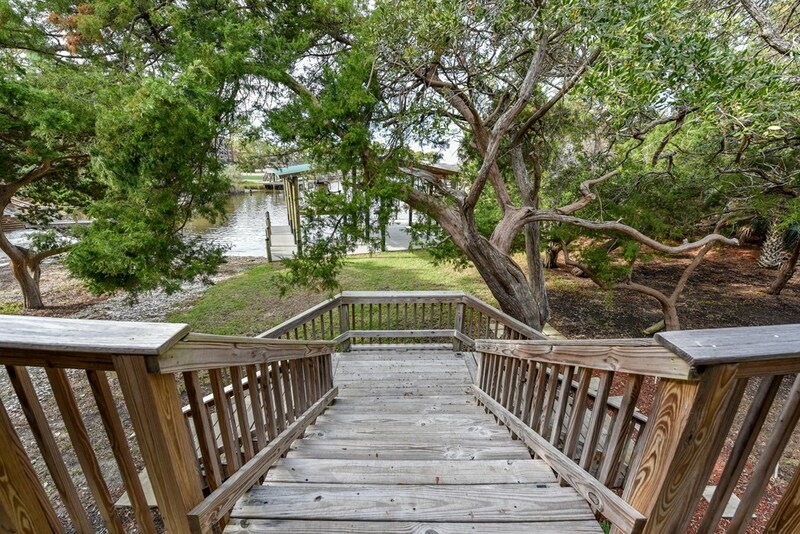 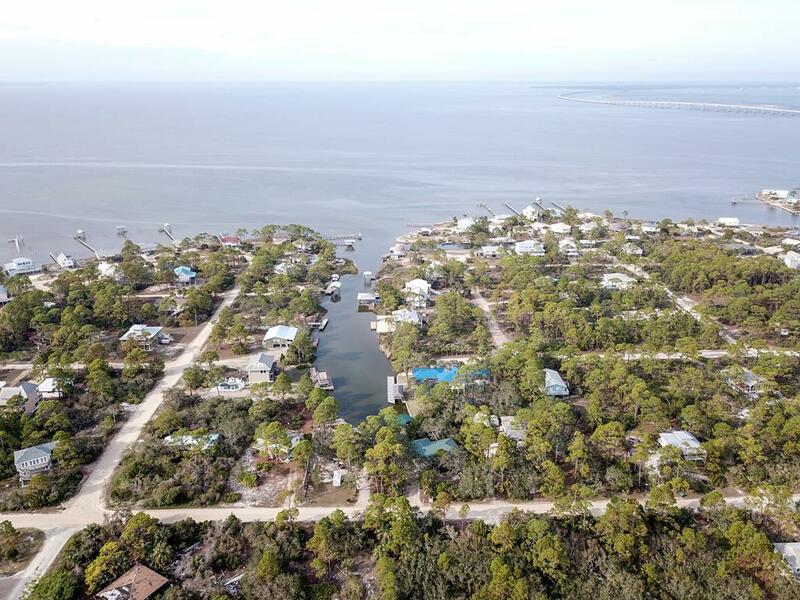 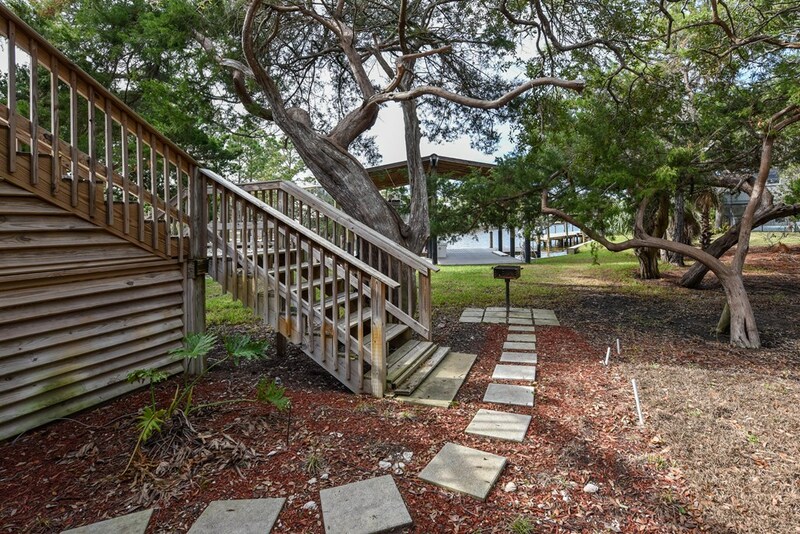 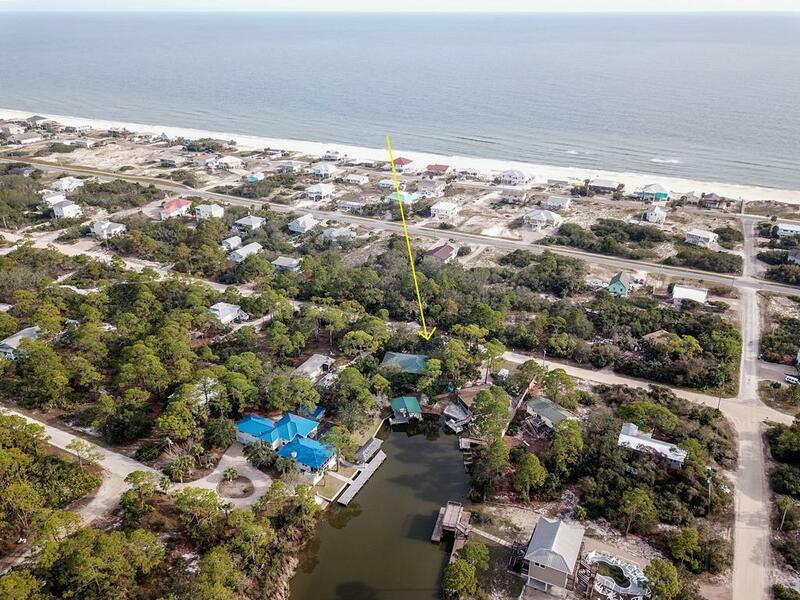 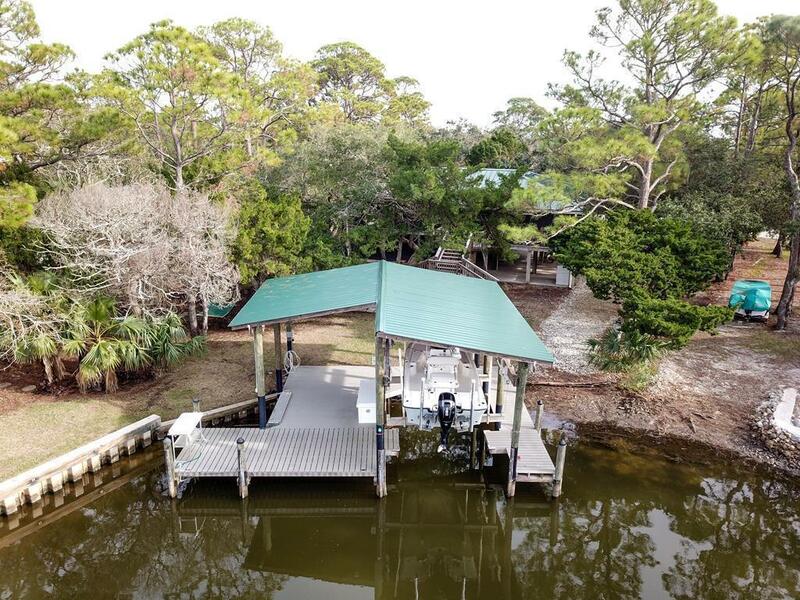 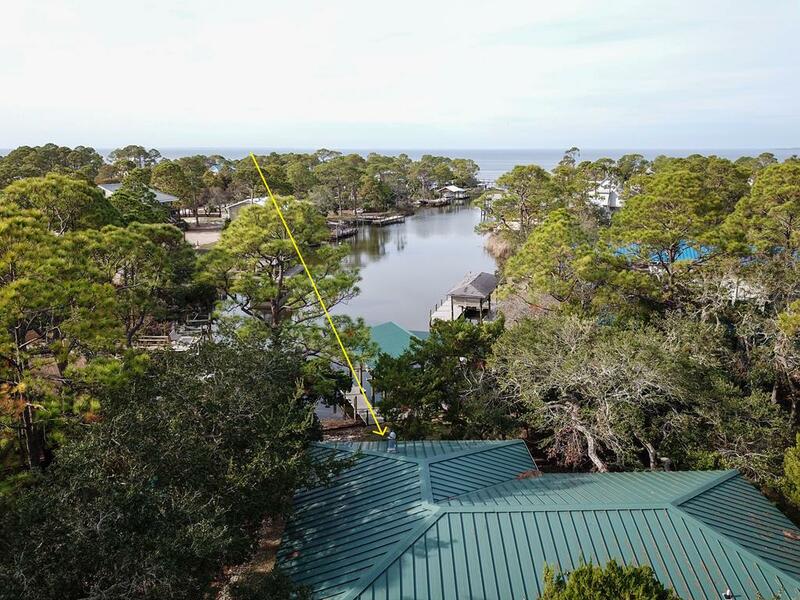 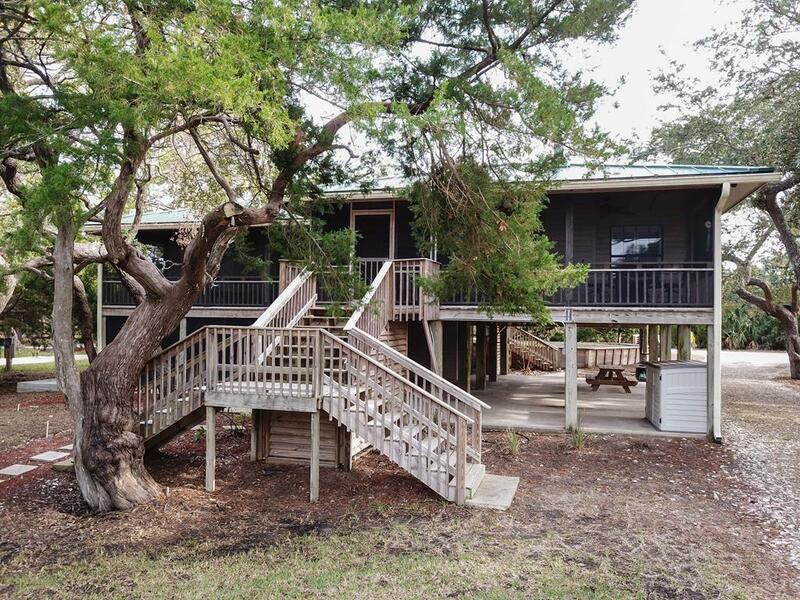 St George Island Deep Water canal home with private dock and ramp. 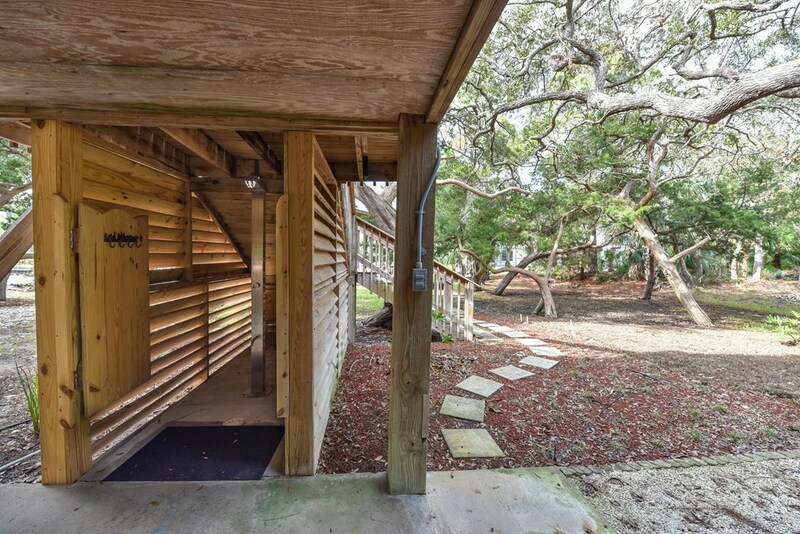 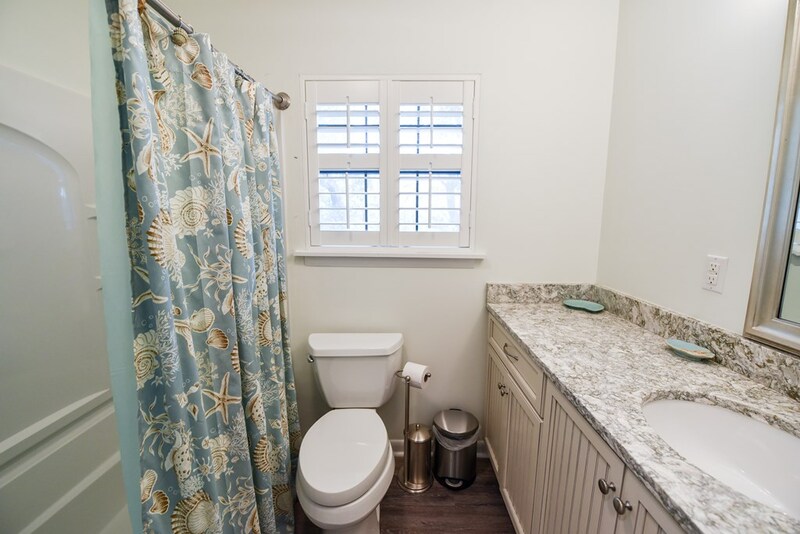 Nestled under a canopy of Live Oak trees, "Hooked Up" is completely renovated in Casual Coastal Style. 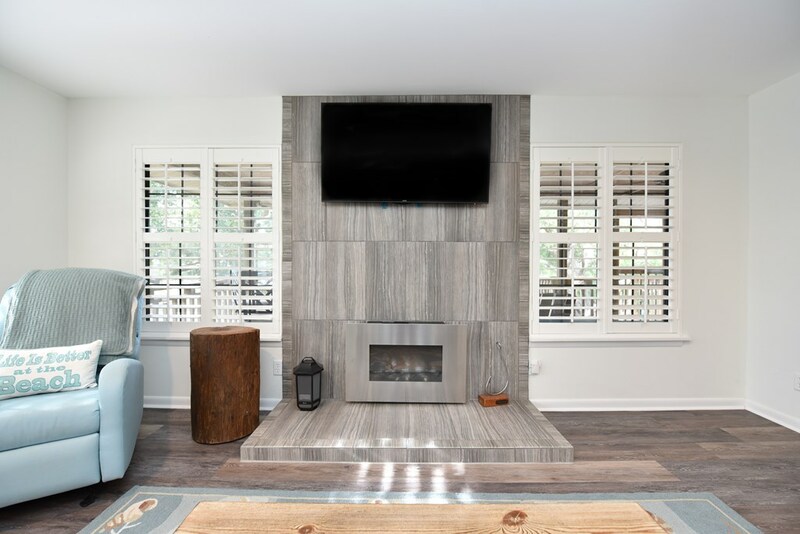 Large open living area with electric fireplace. 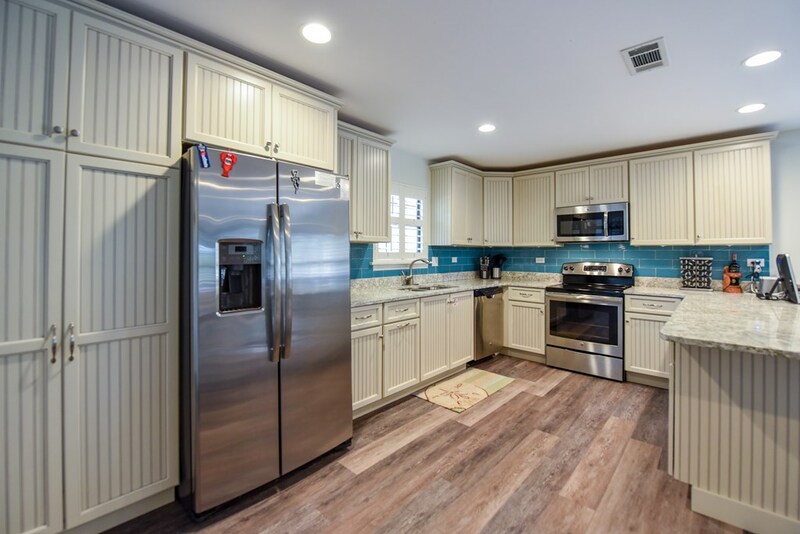 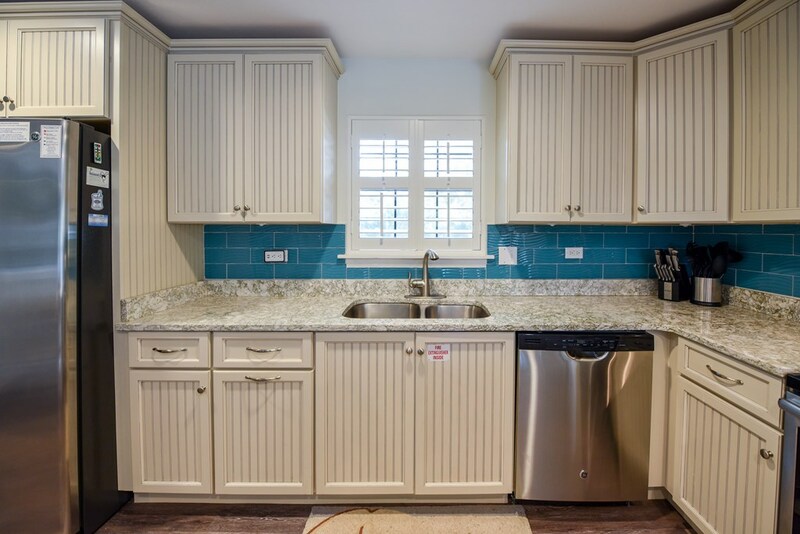 Modern kitchen with custom cabinetry, quartz countertops, and stainless appliances. 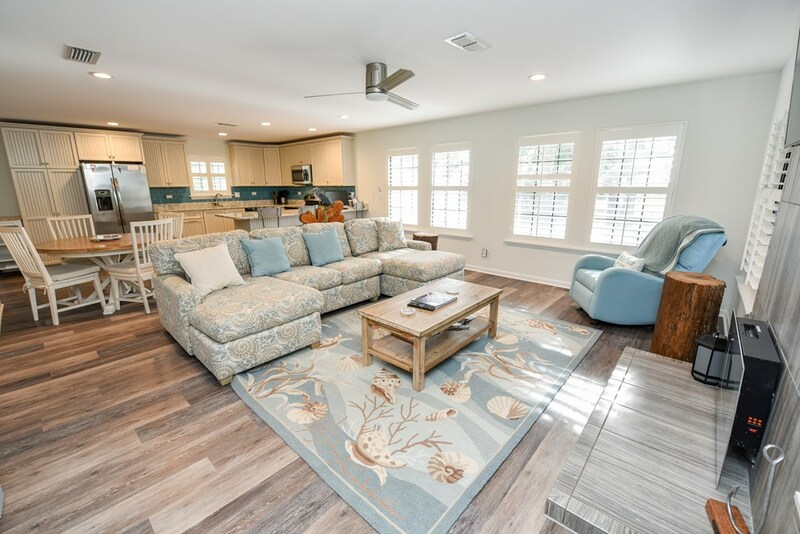 Driftwood flooring throughout. 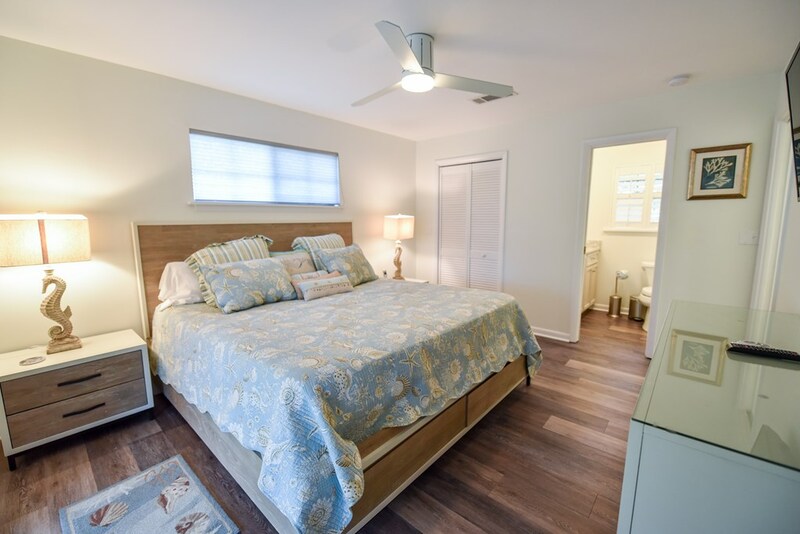 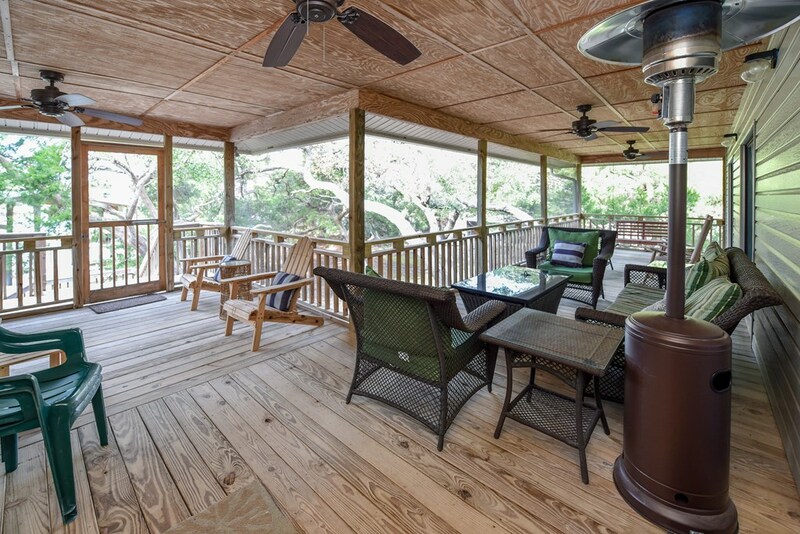 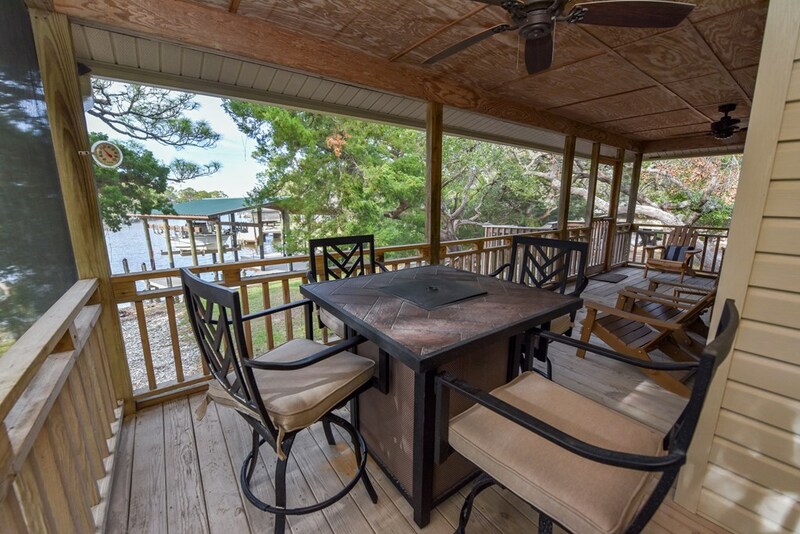 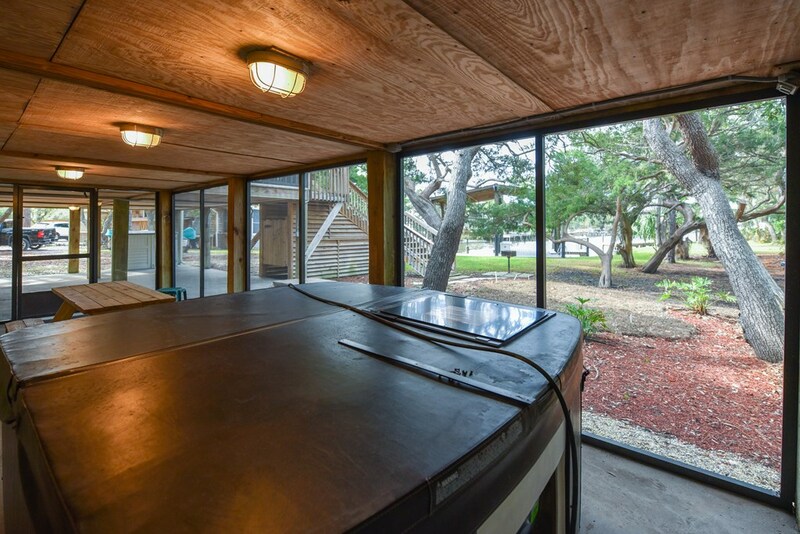 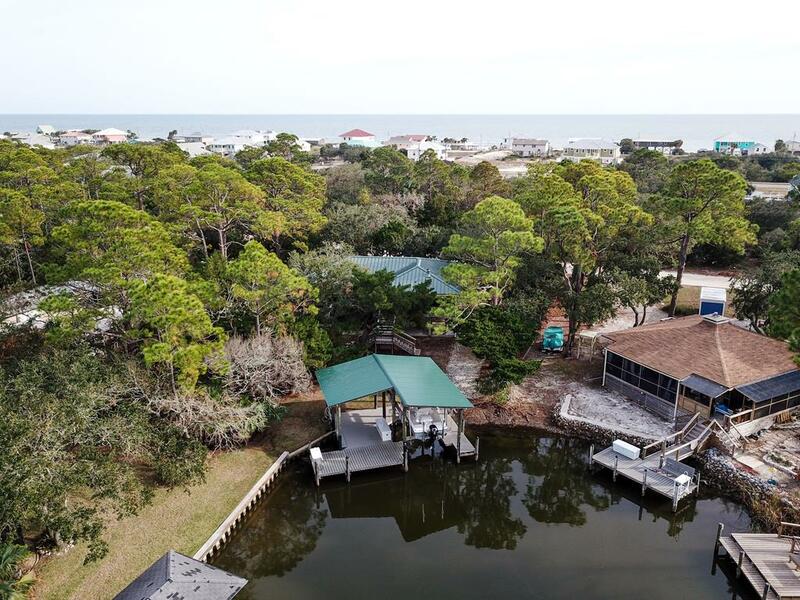 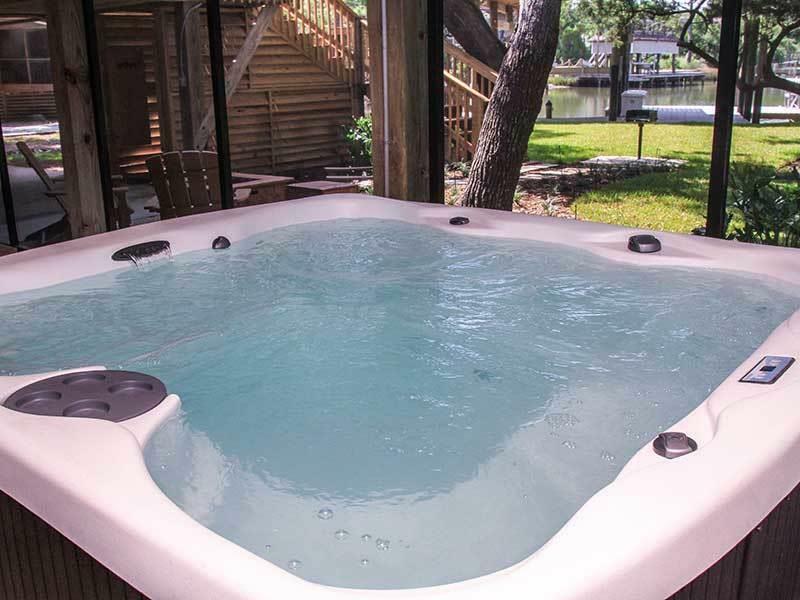 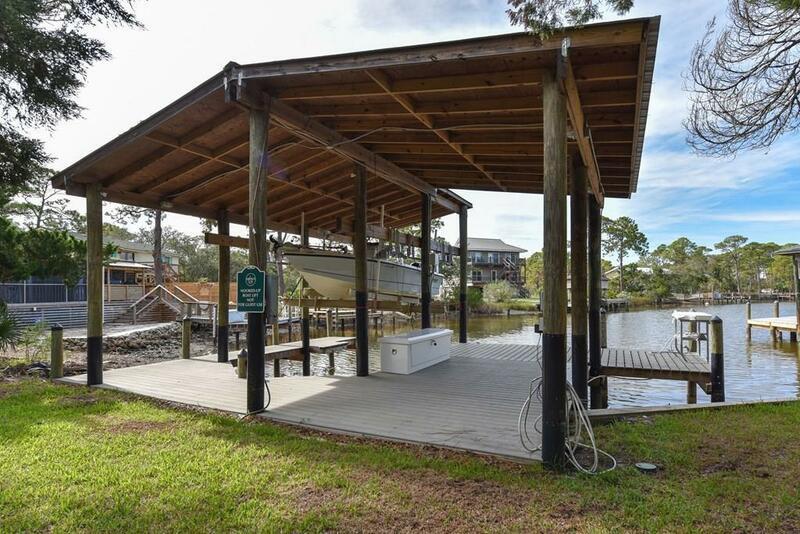 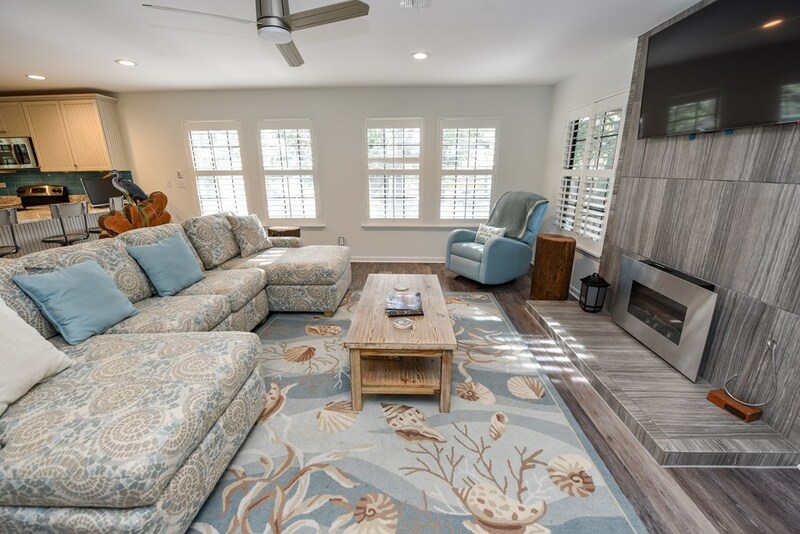 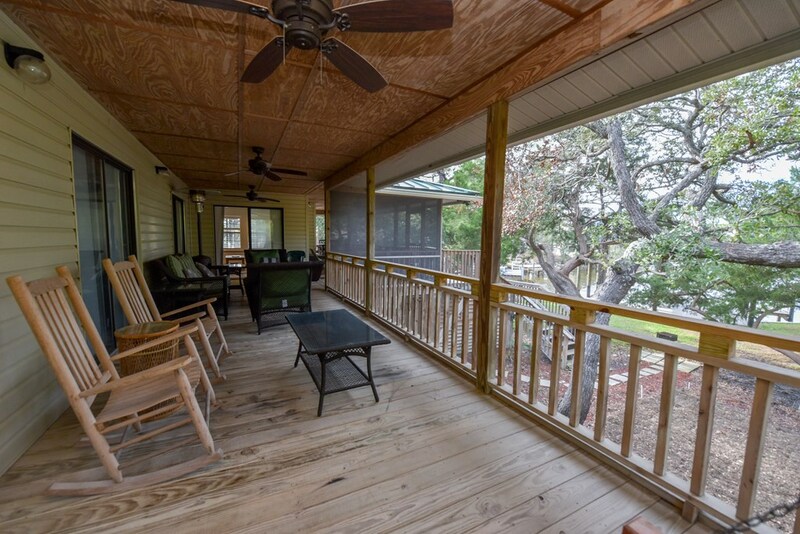 Designed to maximize outdoor living, all bedrooms and family room open to an expansive waterfront screened deck with 2 tabletop gas fire pits.The covered boat dock has a large open deck and is conveniently equipped for easy access to Apalachicola Bay and the Gulf of Mexico. 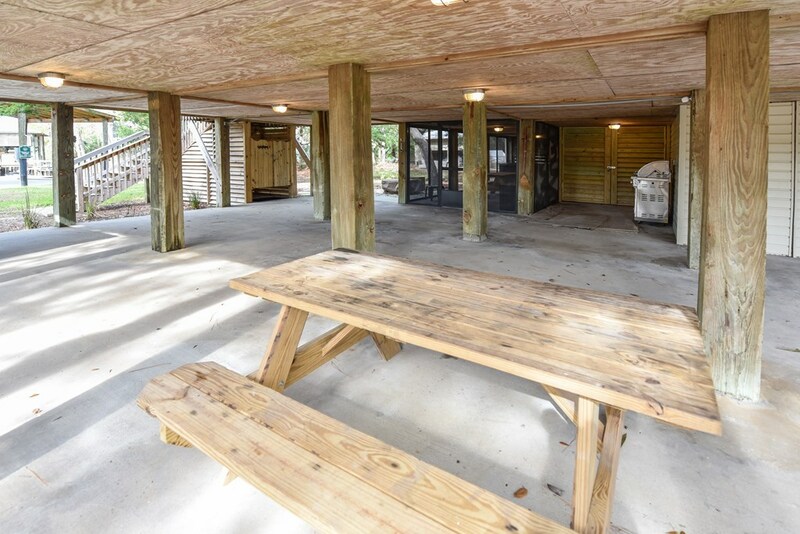 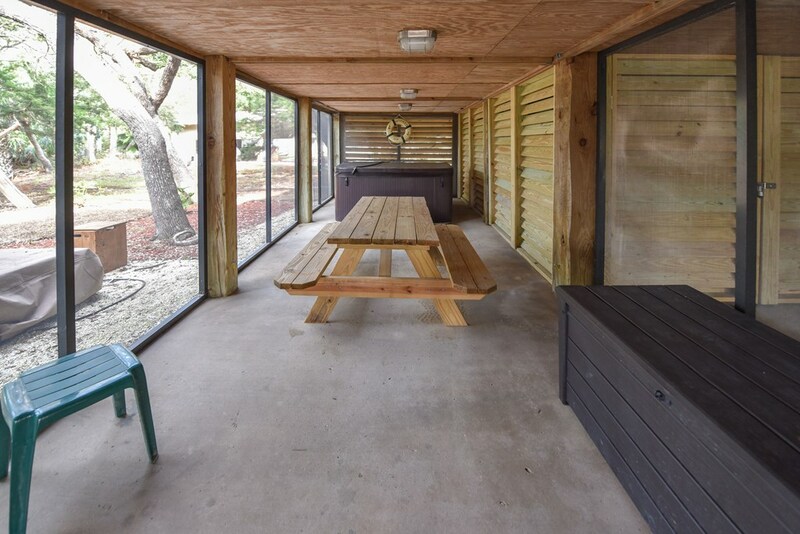 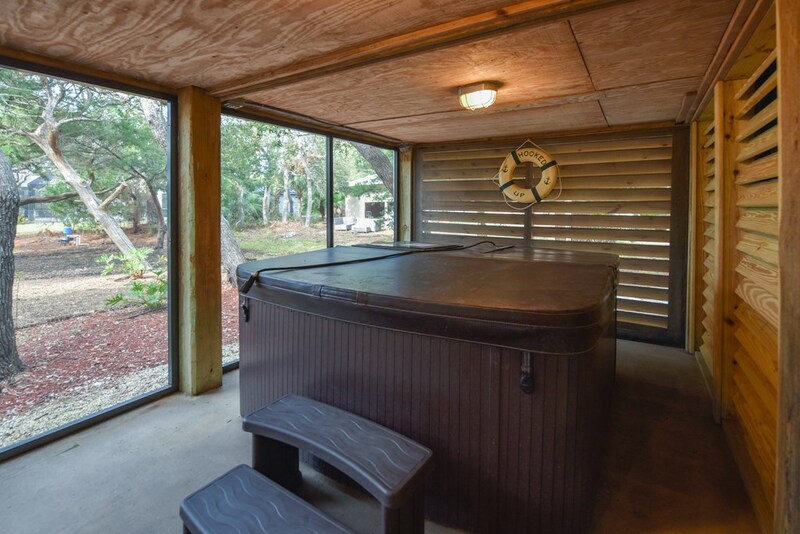 Spacious open and screened ground level area with industrial ice maker, stainless grill, hot tub, fish cleaning station and outdoor shower. 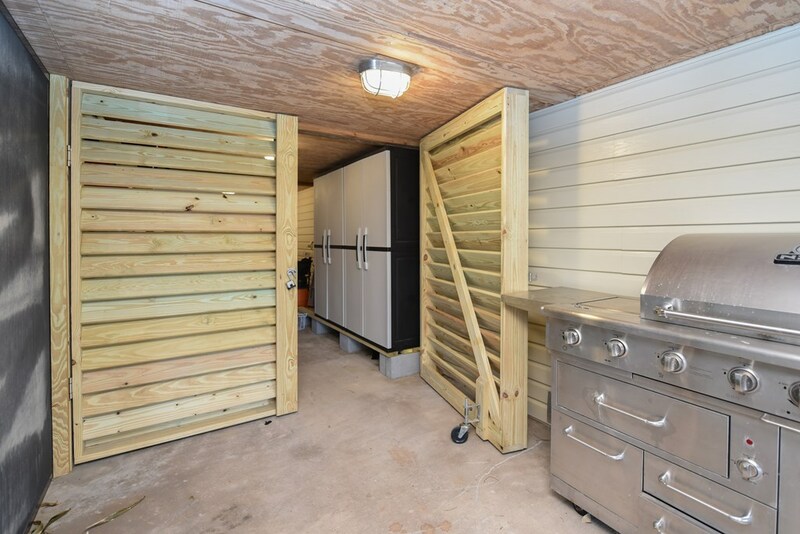 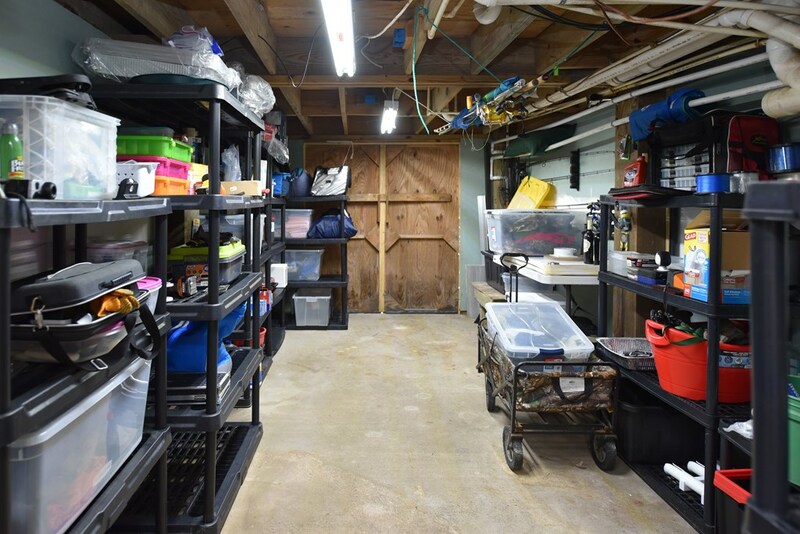 Generous enclosed storage space. 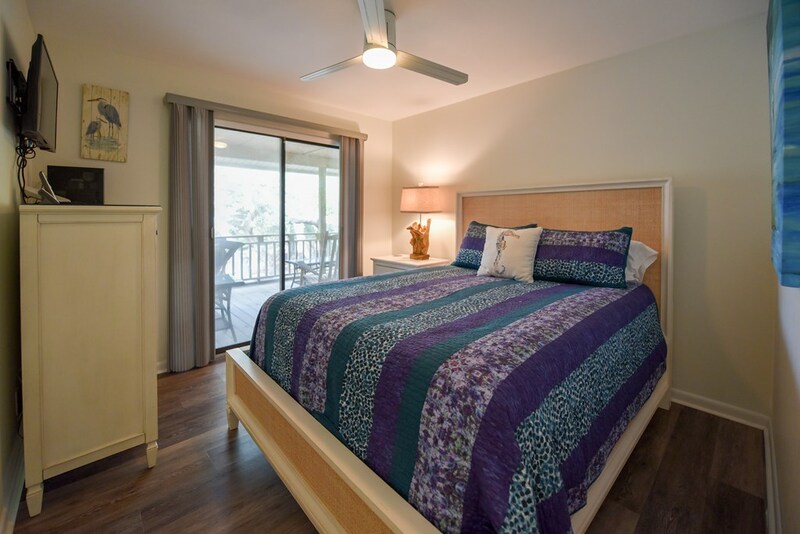 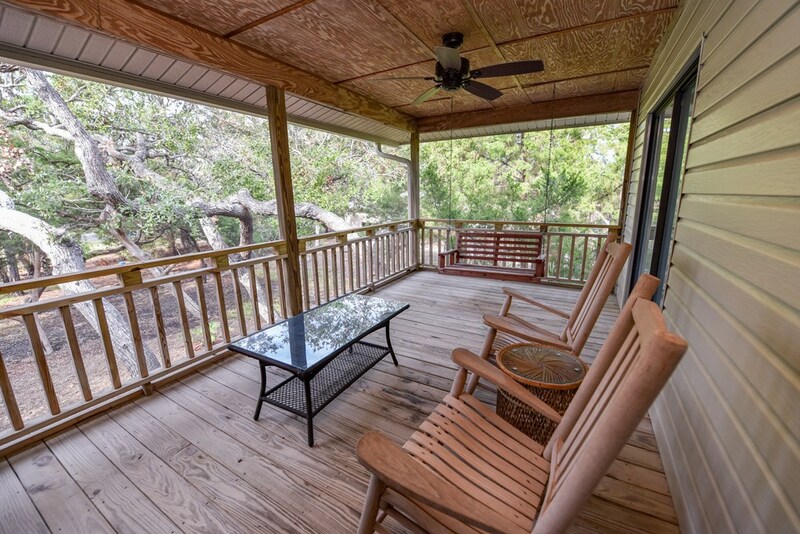 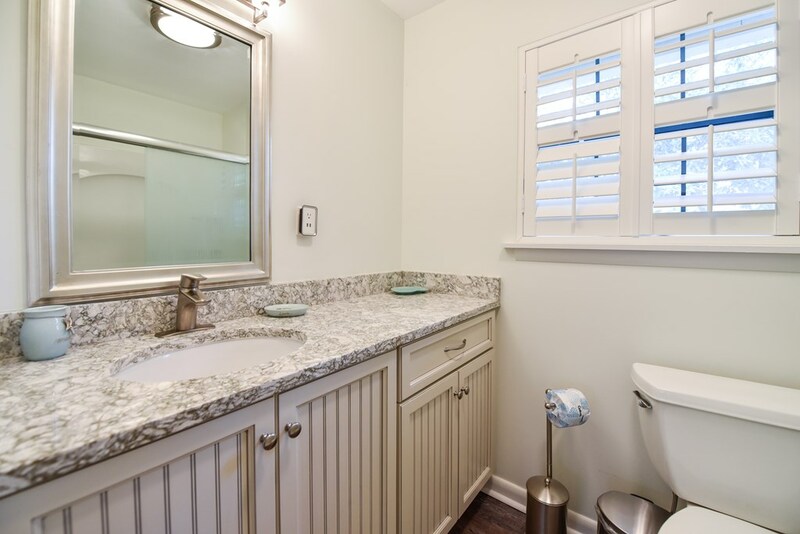 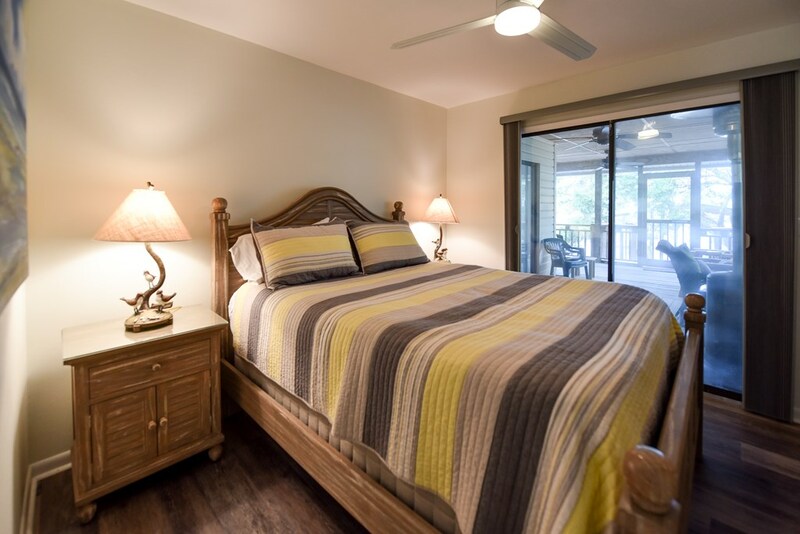 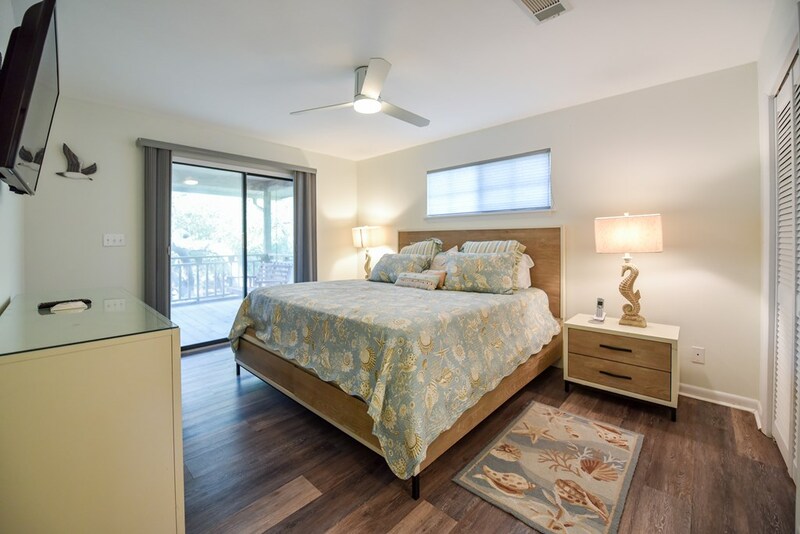 Popular vacation rental offered completely furnished.